Arriving under your own steam? We know it is not always possible to leave the car behind but we want to encourage eco travel where we can. We are close to the end of the Peddars Way Walk and National Cycle Network Route 13 and Regional Route 30 run just a mile to the north of the campsite. We also have local bus stops and train stations nearby. To make it easier for our guests to use sustainable means of transport we provide as much equipment on site as we can so that you have the option to travel light. We also offer a 10% discount on bookings if you are arriving by public transport, by bicycle or on foot! Tell us if this applies to you when you book online or when you contact us. Enter ‘ecopitches’ or ‘ecoglamping’ in the discounts box when you book online. You could choose the furnished StarDome or bell tent option, or the luxurious living van and shepherds hut. After all you deserve it after a long walk or cycle! Duvets and pillows will be there to welcome your aching limbs and there is plenty of storage for your kit. All of the options are fully equipped with all the basic equipment that you will need for your stay, including wood fired rocket stoves for cooking, pots and pans, cutlery and dishes, freezer boxes and a fire pit with grill. 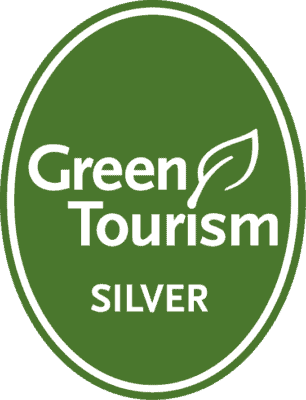 We also include linen and towels for eco travellers to make life easier. Alternatively you can book our unfurnished pre-pitched 5m bell tent, so you can enjoy waking up under canvas without the hassle of carrying a large tent with you on your travels. A double futon mattress with bedding is available to hire (£10 per stay). All guests have access to the camp kitchen which has shared cooking, dining and washing up equipment. Don’t forget, you can also pre-order a breakfast or BBQ hamper to make life even easier! See the Cooking outdoors page for further details. 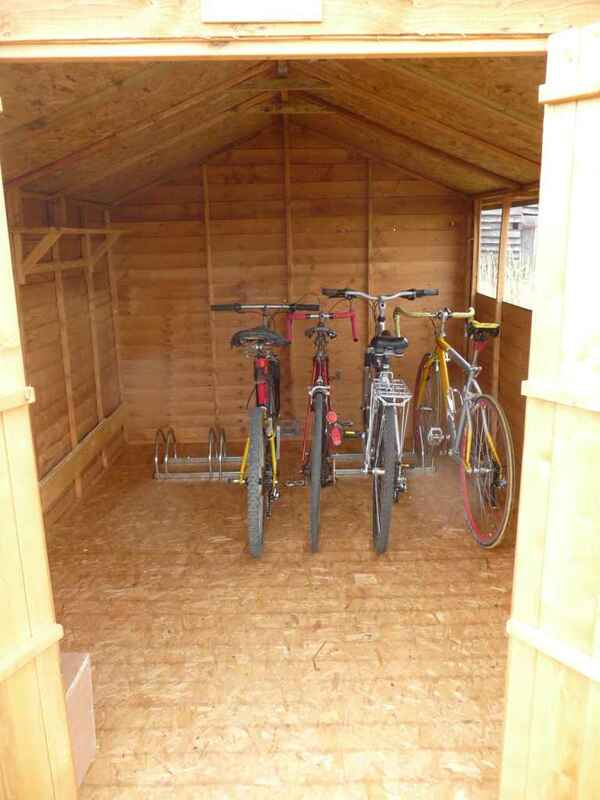 We have a secure bike shed on site (takes up to six bikes) and can lend you a bicycle free of charge for an outing during your stay. 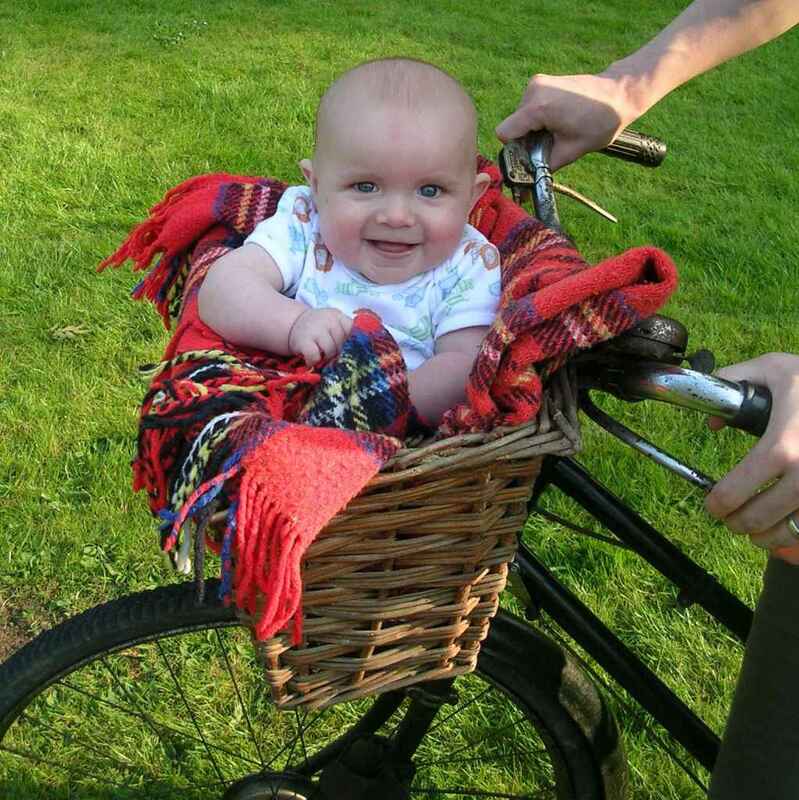 We have two or three small bikes for children and a child seat to fit on the back of an adult bike. Storage space and cycle supplies are limited so please let us know if you would like to use these facilities when you book! The bike shed also contains a pump, puncture kit and bike locks. There is access to water for hosing down your bike and we will wash your kit for you (£5 per load). We have put up a cycle map for our area in the shed so that you can plan your route. Please feel free to add a new route to the map if you discover one that you have enjoyed. If you are travelling on foot we can collect you from the end of the Peddars Way Walk which is just five miles down the road from the campsite. Let us know if this would be of help to you. OS maps and information on local walks can be found in the camp kitchen. Please let us know of any that we should add! We can also collect you from our nearest bus stops, ‘The Duke of Marlborough’ on the A143 (at the other end of the village and a 40 minute walk from us) or ‘The Royal George’ in Barningham (the next village over and a 20 to 30 minute walk along a quiet road and country lane to the campsite). You can find bus routes here. It is also possible that we can pick you up from our nearest stations in Thetford (routes from the north), Bury St Edmunds (Cambridge and the west) and Diss (routes from london and the south) so do ask. We are very lucky to have several cycle shops within cycling distance. A couple of our favourites are Madgetts Cycles in Diss and Green Ventures Bikes in Thetford. We also have a lovely local pub, The White Horse, which is a 30 minute cycle ride away and has a beer garden and nice menu. We can also recommend Moriarty’s Cafe in Walsham le Willows, which is a short cycle ride away. If you are looking for a slightly longer cycle, and a bike cafe at the end, then try Maglia Rosso just south of Bury St Edmunds. Or if you are heading for the Norfolk coast stop off at The Dandy Horse in Norwich. If you want to stretch your legs and take in some of the local countryside we have OS maps and short walk routes in the camp kitchen. Wyken Vineyard (45 minutes one way) has a lovely tearoom and gift shop, and also a farmer’s market with local produce each Saturday morning. Our two nearest pubs, The Royal George and the Mill Inn, are also within walking distance (20 minutes or 40 minutes) and we have maps to take you to these too.